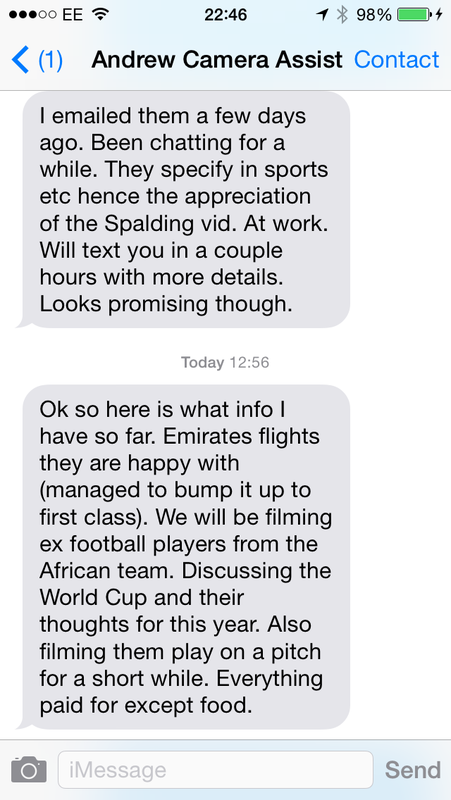 So got this message from my camera assistant today …. I was in edit and he seemed to have a line on a potential exciting new job. If I wasn’t so head down in the edit I would have worked it out. If I wasn’t so head down in the edit i might have been upset or angry …..